ALMOST HALF OF people making more than €1million a year paid less than 30 per cent tax, new figures from the Department of Finance reveal. The statistics show that the very highest earners tend to pay tax at a rate well below the standard band. Of 620 people who were paid more than €1million in 2009 – the latest year for which figures are available – 261 paid under 30 per cent tax. At the time, the standard top tax band – applicable to those earning more than around €35,000 after credits – was 40 per cent. Almost all (90 per cent) of those earning between €100,000 and €250,000 paid less than 30 per cent tax. 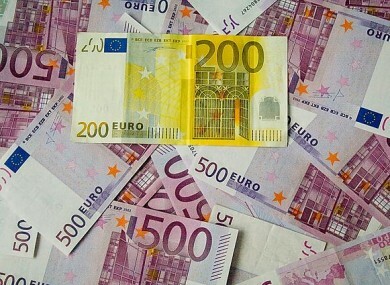 For people on annual incomes between €250,00 and €500,000 the figure was 52 per cent, while for those between €500,000 and €1,000,000 the figure was 42 per cent. Giving the numbers in response to a parliamentary question from Labour’s Derek Nolan, finance minister Michael Noonan pointed out that the figures do not include PRSI, the income levy or the health levy. He said high earners in 2012 would also pay the Universal Social Charge, at a rate of either seven or ten per cent. Noonan also said that the high earner’s restriction introduced in 2010 would bring some more individuals on to an effective 30 per cent tax rate. Email “Nearly half of Irish millionaires paid under 30 per cent tax”. Feedback on “Nearly half of Irish millionaires paid under 30 per cent tax”.